CASTLETON—The 12th annual Bart Jacob Memorial Youth Turkey Calling Contest, held April 8 in Castleton, attracted 20 competitors including several Vermont 4-Hers. The Oxbow Mountain 4-H Club of Pawlet and the Vermont Fish and Wildlife Department hosted the event at Kehoe Conservation Camp. 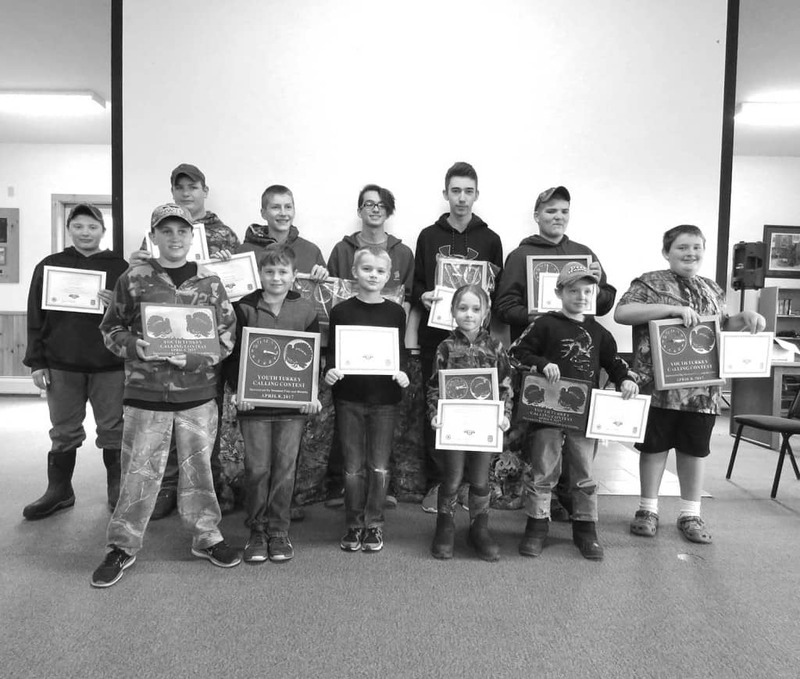 In addition to the calling contest, arranged by age, the youths had an opportunity to participate in several UVM) Extension 4-H shooting sports events, including shotgun patterning, air rifle trailer and .22 rifle shoot. Robert Sterling, a K-9 warden from Fair Haven, gave a demonstration on how he uses his dog Crocket to find gun powder. In Division I, open to kids 9 and younger, contestants were required to cluck, yelp and perform a locator call of their own choice using either a store-bought or handmade turkey call. Coming in first was Spencer Sheldon, 9, from Dorset, followed by Brooke Flewelling, 6, Rutland; and North Danville 4-Her Nick McReynolds, 8. Honorable mention went to Robby Harris, 9, Poultney. Division II for 10- to 14-year-olds attracted 11 participants. Calls for this division included the cluck, yelp, purr and locator call of choice. First-place winner was Dorset 4-Her Colby Butler, 12. Second place went to Josiah Aubrey, 14, Fort Ann, N.Y., and third to Cooper Sheldon, 11, Dorset. Tying for fourth place and receiving honorable mentions were 4-Hers Jonathan Churchill, 14, Groton, and Luke McReynolds, 13, North Danville. Winners in Division III for 15- to 18-year-olds, in order of placement, were 4-H teens Hunter Michaud, 15, East Hardwick, and Ethan Moore and Adam Browe, both 16 and from Pawlet. Contestants were evaluated on their ability to perform several turkey calls including the cluck, yelp, purr, kee kee run and caller’s favorite. The annual contest honors the late Bart Jacobs, a nationally recognized turkey call maker and turkey hunter. The long-time Pawlet resident was a strong supporter of youth hunters. Winners of the 12th annual Bart Jacob Memorial Youth Turkey Calling Contest, held April 8 in Castleton. Front row (from left): Cooper Sheldon, Dorset; Nick McReynolds, North Danville; Robby Harris, Poultney; Brook Flewelling, Rutland; and Spencer Sheldon and Colby Butler, both from Dorset. Back row (from left):Luke McReynolds, North Danville; Jonathan Churchill, Groton; Josiah Aubrey, Fort Ann, N.Y.; Adam Browe and Ethan Moore, both from Pawlet; and Hunter Michaud, East Hardwick. Photo by Lisa Muzzey, UVM Extension.